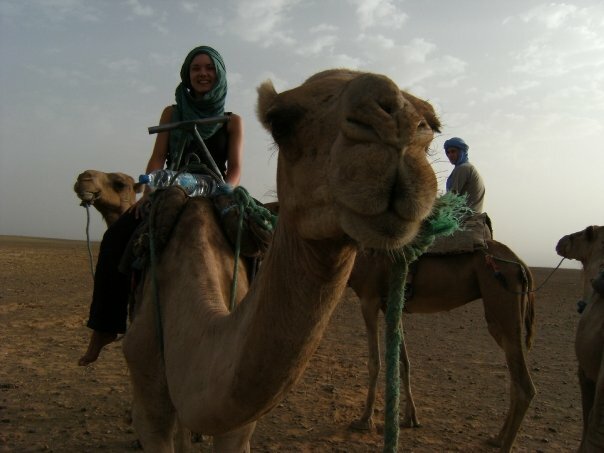 J’adore Morocco, the heat, the people, the beauty, the adventures into the Sahara and camping out under the stars. The food and desserts are amazing. 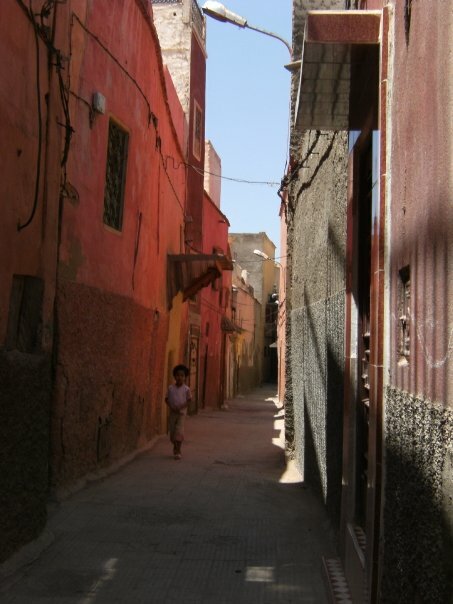 I ate many a tagine and honey soaked sweets when we visited Marrakesh. 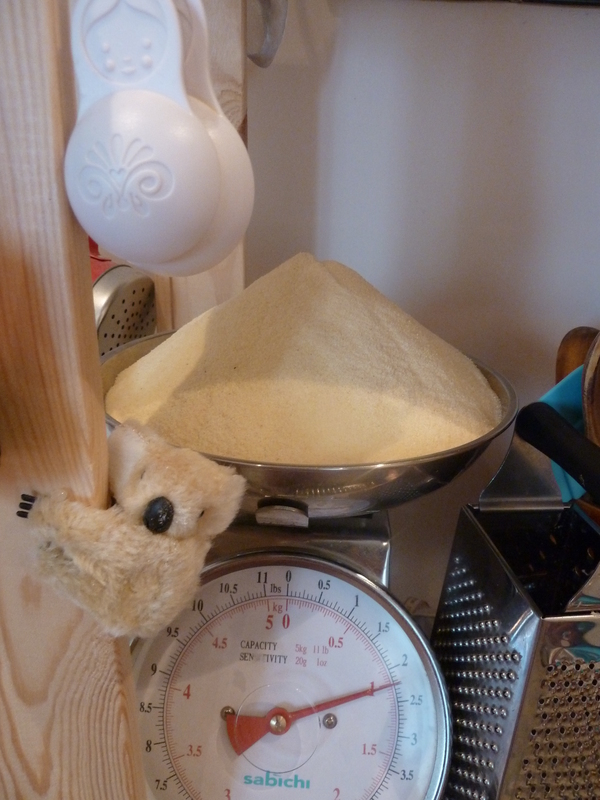 Having purchased the worlds largest bag of semolina I needed a recipe to put it to good use. 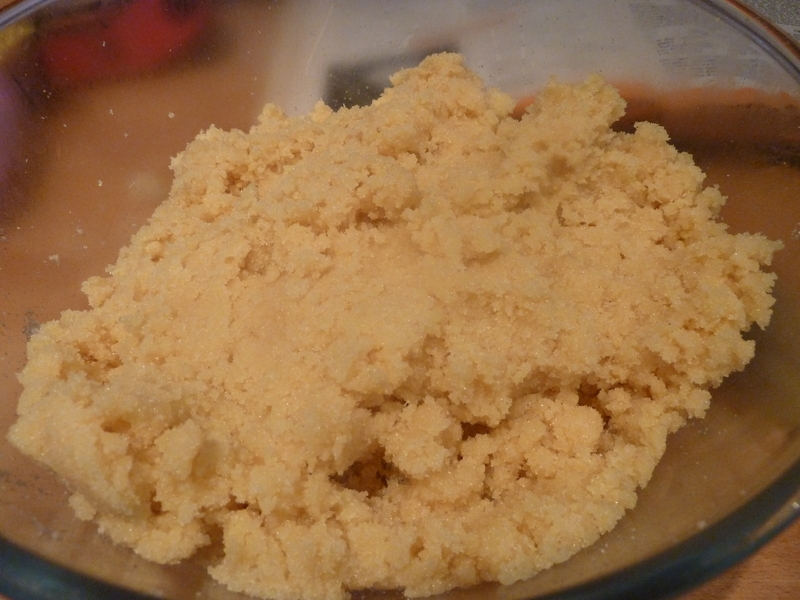 I have vaguely horrific memories of semolina pudding every day for as part of of our school dinners and me disliking it so much I pretended to sneeze into my bowl so I could have it removed. 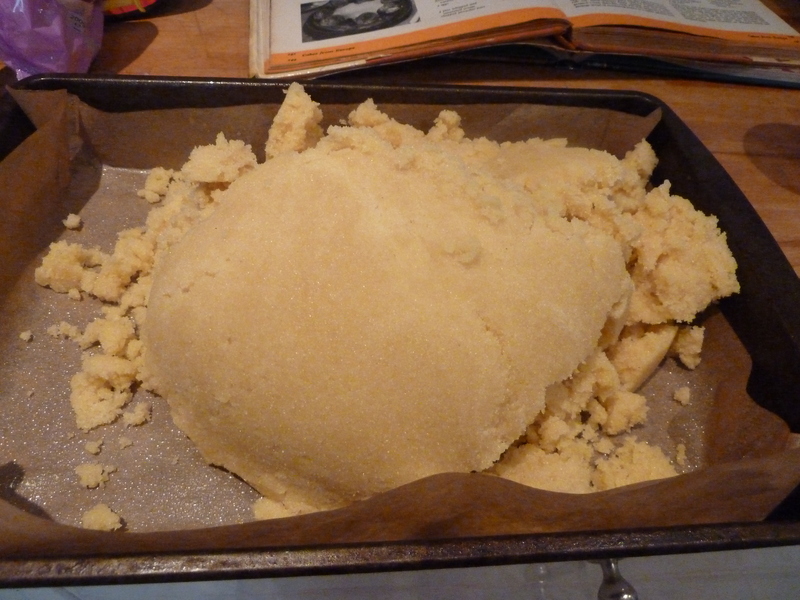 But the dinner nannies soon wised up to my rouse and refused to let me get away with refusing semolina. Thankfully my taste palette has refined somewhat since I was 6years old. I now even eat peas and broccoli! 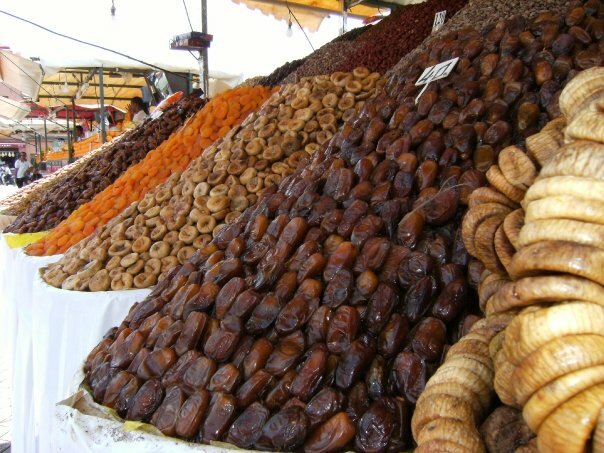 Thankfully Basboosa doesn’t involve the shelling of hundreds of pistachios or the creation of millions of layers of paper thin filo pastry! This is one quick bake the I will be definitely repeating in the future! I began with the syrup. Unfortunately I didn’t have an orange flower water so I ad libbed and utilised the lemon and orange extracts I have in my cupboard. 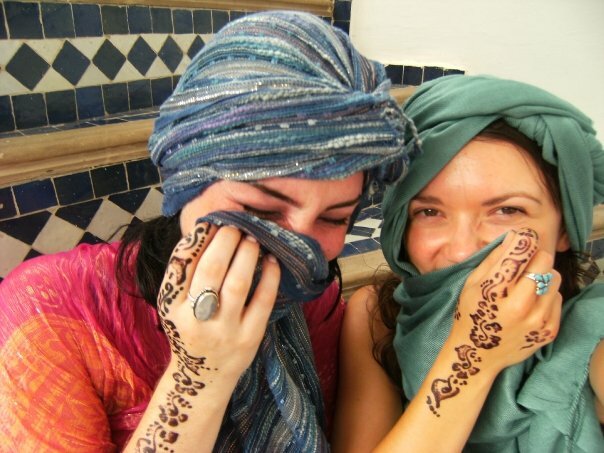 I think rose water would work just as well too. The key to this bake is sugar. And LOTS of it. 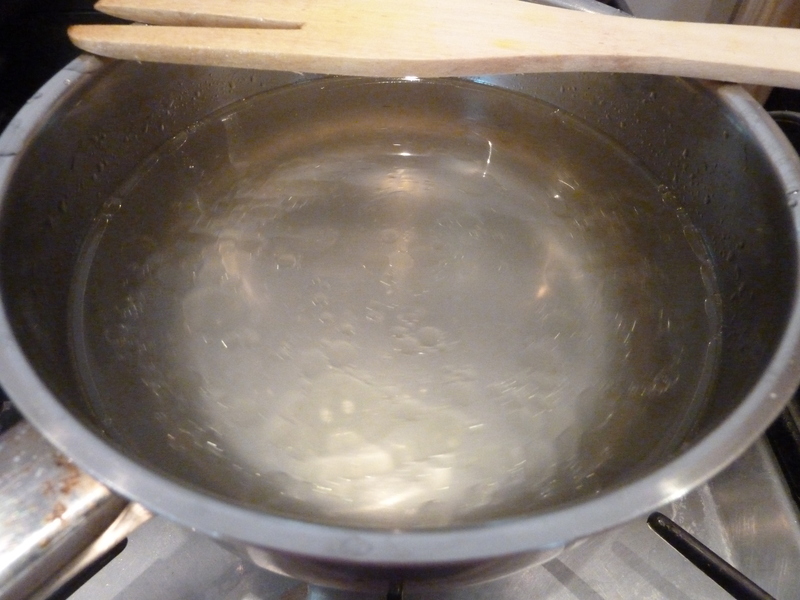 The syrup requires a lot of simmering to reduce it to about 2 cups worth but it still seemed very watery to me. I put faith in my Marks and Spencer recipe and hoped for the best. 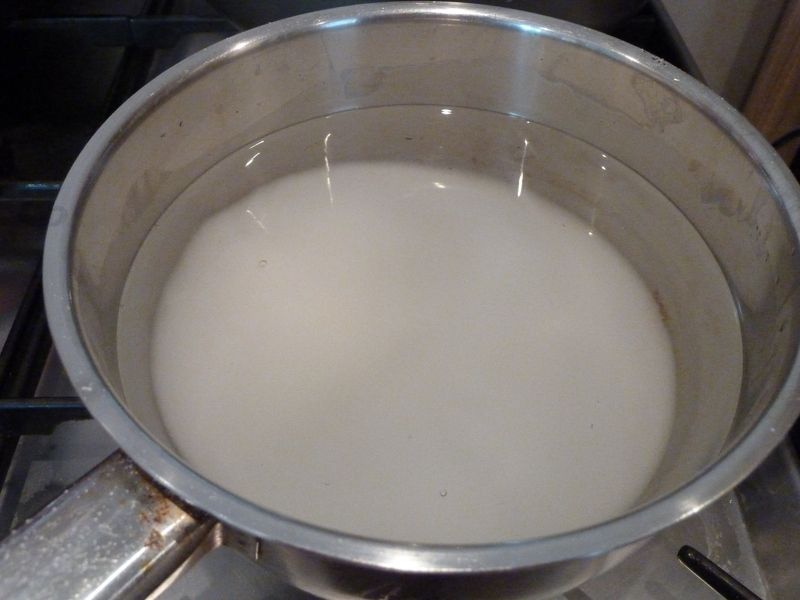 While the pan bubbled merrily on the stove I measured out 1kilogram (yes 1 KG!) 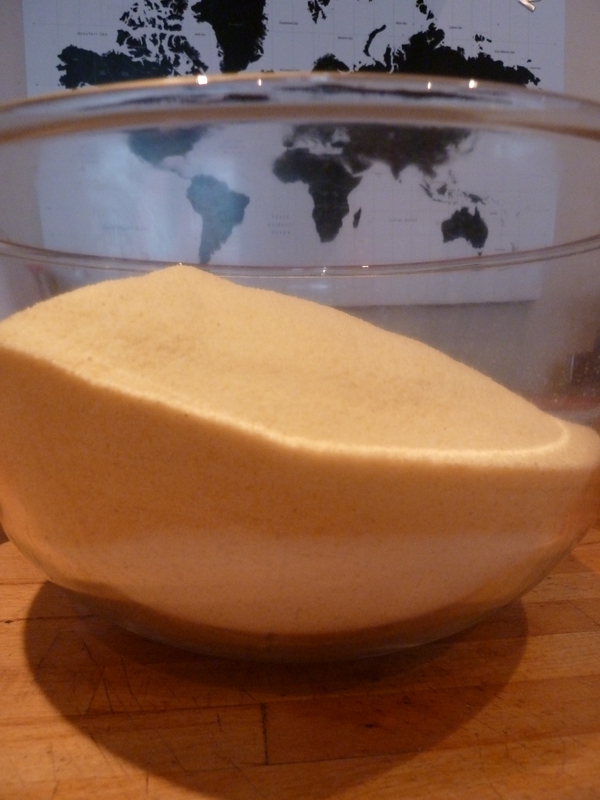 of ground semolina! (I checked about 4 times that I had read this right as it seems like a massive amount and just about fitted into my biggest mixing bowl! Adding in the sugar the mixing bowl was precariously full and could only be mixed with my bare hands, a spoon would just have tipped things over the edge completely! 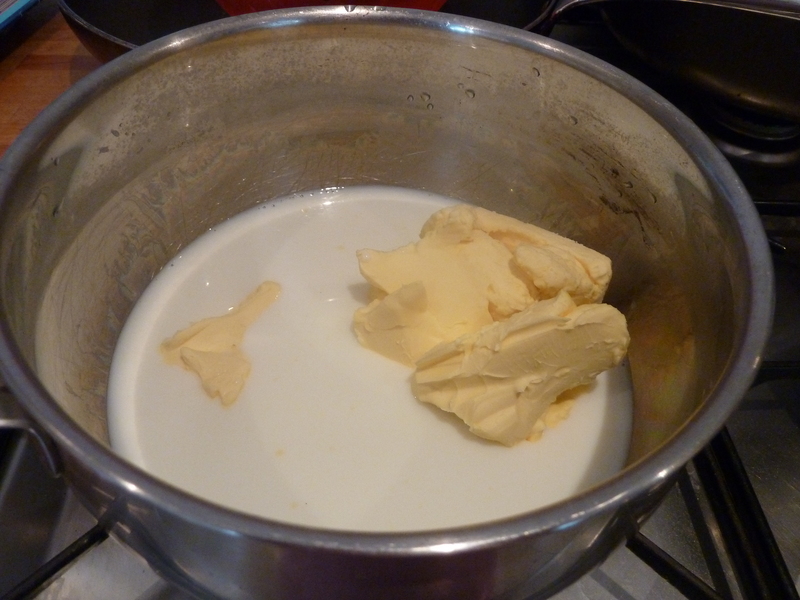 Then to gently warm the milk and butter on the stove until the butter melts completely. 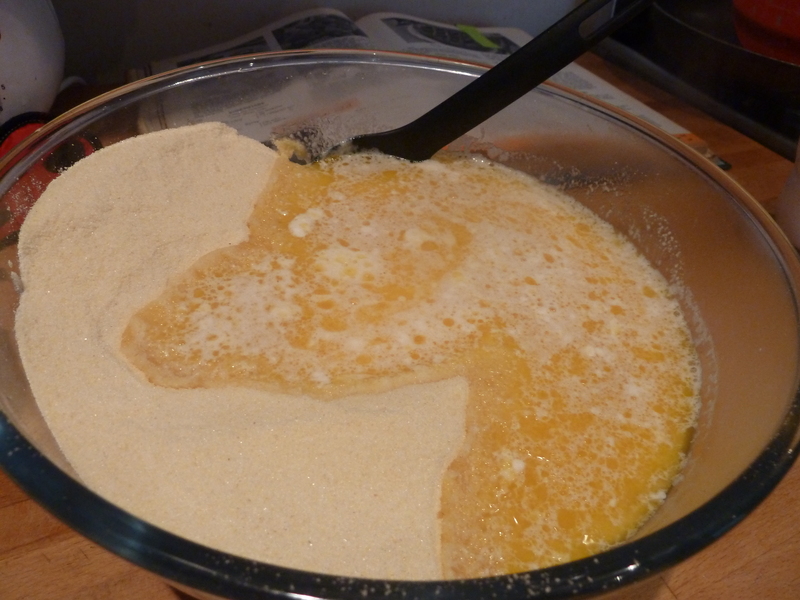 Once it’s thoroughly melted (and hopefully a little less frothy than mine) it’s ready to add to the semolina. This was a delicate process. 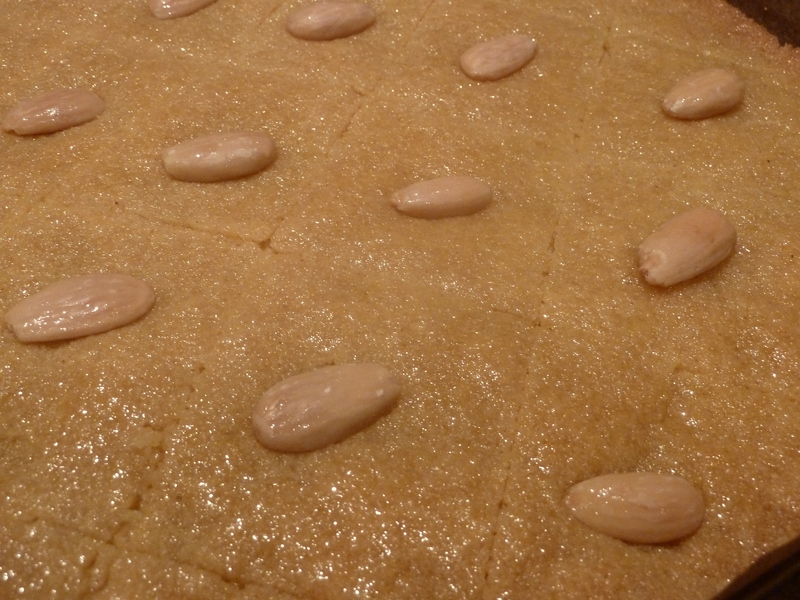 There didn’t seem to be enough liquid to bring the dry semolina and sugar together into a paste at all. 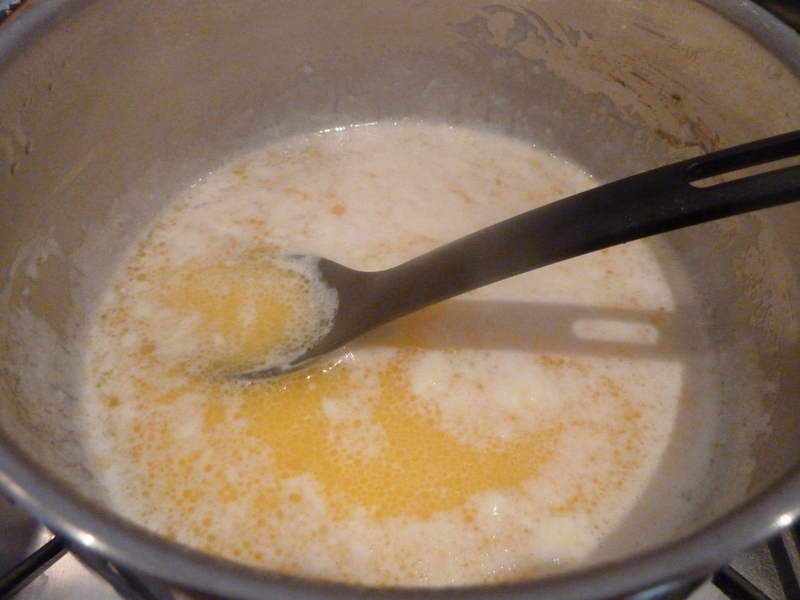 Nevertheless I perservered and gingerly (the milk was a bit hot) took to mixing it by hand again until lo and behold I had a semolina paste! Tipping the bowl upside down into my greased and lined deep baking dish the semolina required a little coaxing to flatten it out completely into all the corners. Once it was relatively flat I smoothed the surface with a wet hand and squashed it down into the tin to avoid any bubbles or gaps in the bake. Taking the syrup off the stove (I added a dash more orange extract as I realised I had added it too early and it may have mostly evaporated…) popped it into the fridge to chill it, ready for it’s next job. 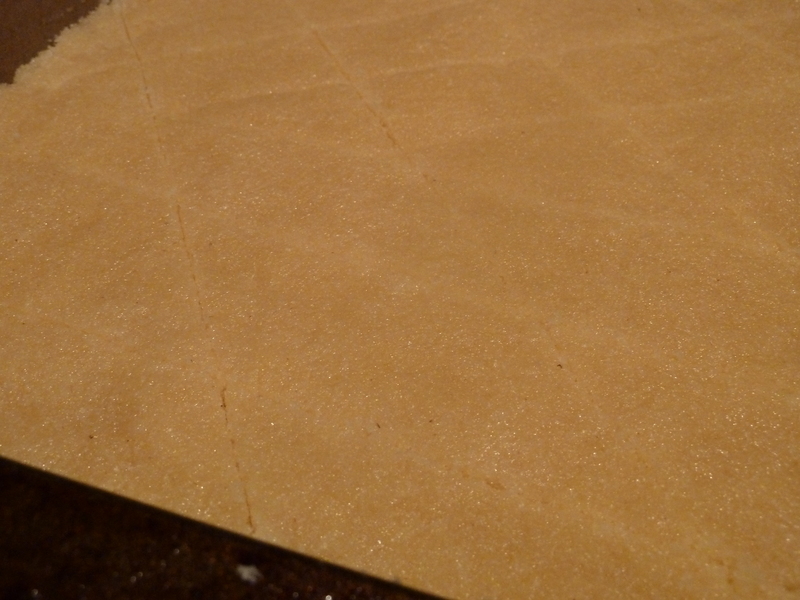 With a sharp unserated knife I attempted to score the semolina into equally sized diamond shapes (this befuddled my brain somewhat so I ended up with all sorts of shapes and sizes). 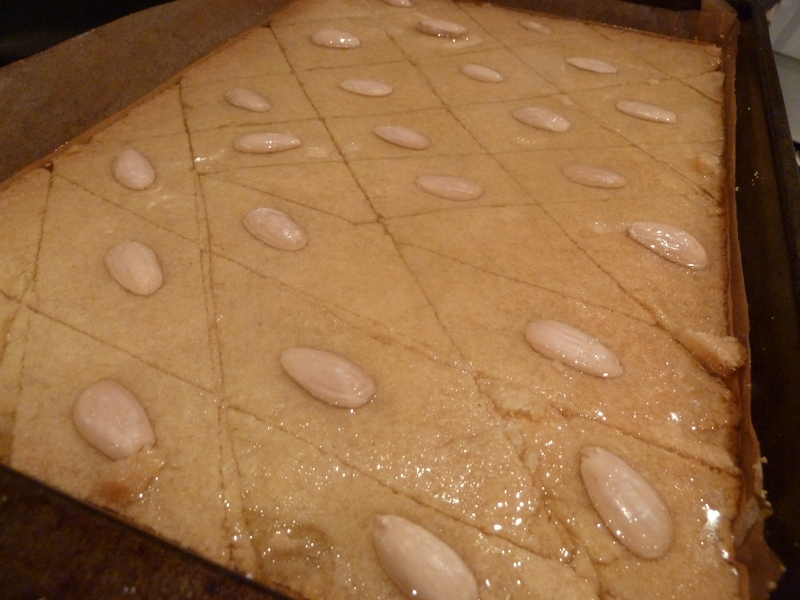 I popped the tray in the oven then quickly realised I forgot to pop the almonds onto each diamond! 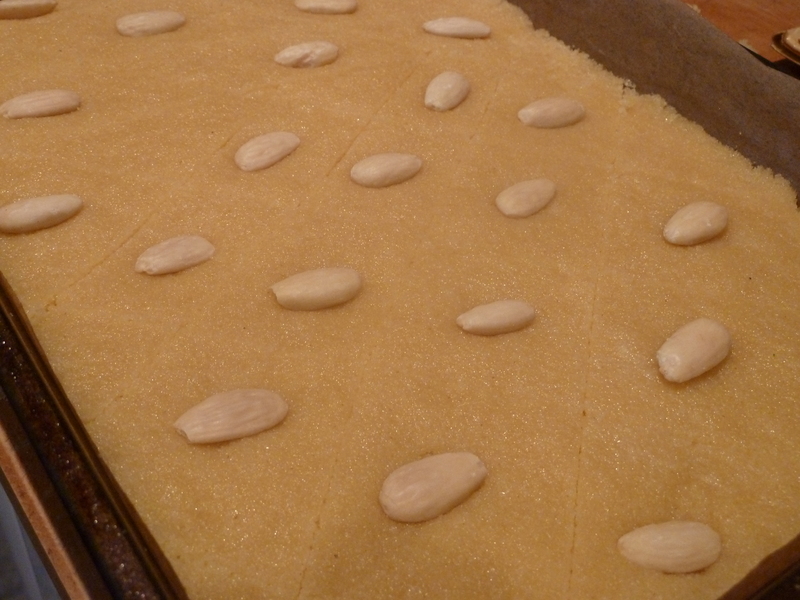 Quick as a flash I studded each piece with a blanched almond and threw it back in the oven. 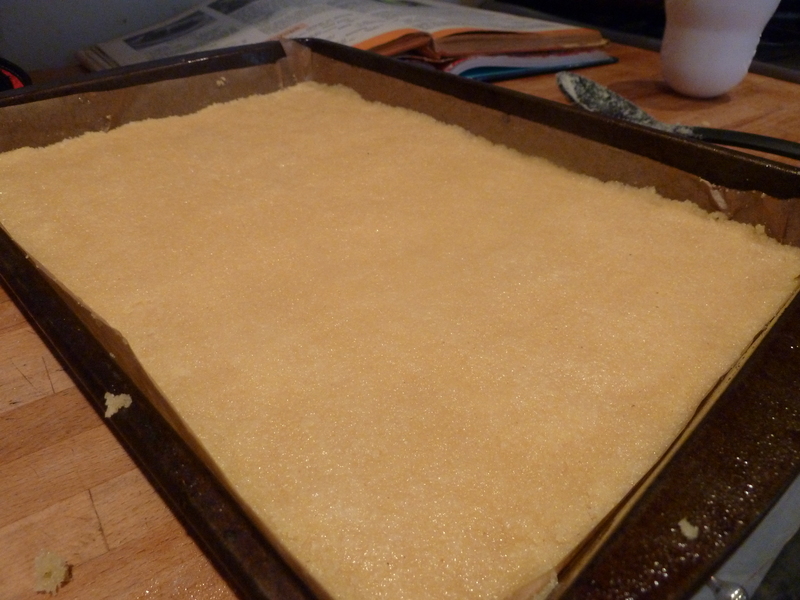 Once the semolina is golden brown and firm to touch it’s ready for a final slice with sharp knife and a good drowning in chilled orange syrup. 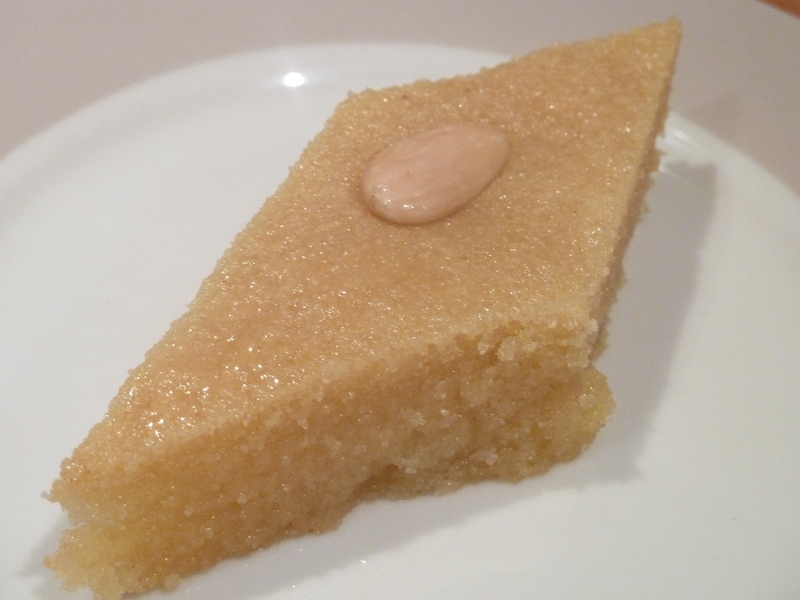 I poured half of the very liquid syrup over the baked semolina and worried that it was a bit too much! It definitely required a break for absorption! Half an hour later I poured the rest of the syrup over and let the Basboosa relax and take it’s time to drink up the sweet orange flavour. Once it’s all absorbed it’s ready for eating! I REALLY loved this bake. 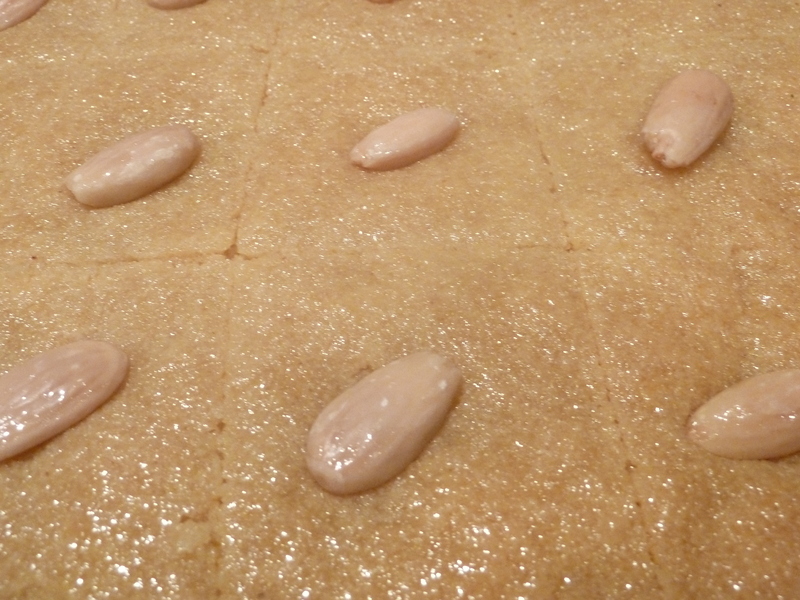 It’s baklava-esque and shortbread-ey. Just the perfect accompaniment to a cup of tea. It has quite a distinctive crumbly texture which some may not enjoy, I suppose it could be a bit dry if you didn’t pour all of the syrup over it too. I don’t know how you do it. Miss Prince! This sounds simple and good, Lauren. Best eaten in small pieces for us non-runners, perhaps with an espresso. 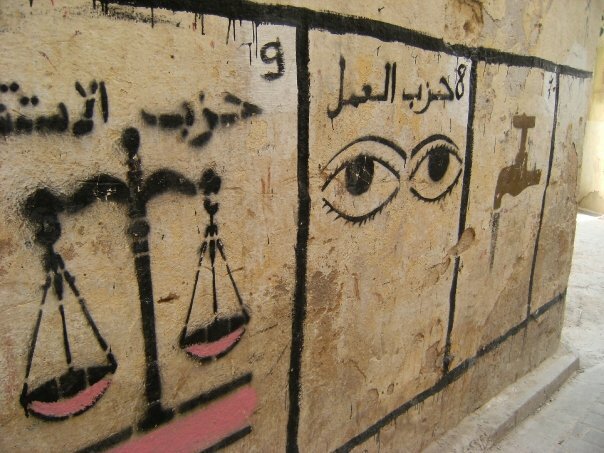 What a wonderful post … and everything described in detail!